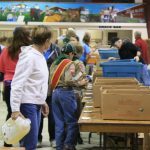 The Manna Food Bank is a volunteer-run charitable organization funded primarily by our local community. Here is how you can help. 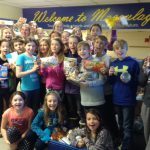 Manna organizers and many Bracebridge businesses, schools and community groups hold regular food drives and fundraisers. They include the Spring Envelope Campaign before Easter, the Muskoka Oldtimers Fall Food Drive on the first Tuesday of October, and many others. Please keep an eye open for these opportunities to contribute. If you wish to organize a food drive, contact us for assistance. We are extremely grateful to the many individuals, businesses and not-for-profit groups that regularly support Manna. We gratefully accept monetary donations and donations of non-expired, unopened food. We regret that we are unable to accept home-made food items due to health regulations. Salvation Army, located at 456 Manitoba Street or call 705-645-2602, ext. 1. The Nest Family Resource Centre, located at 10 Armstrong Street, gratefully accepts gently-used clothing for children from birth to 12-years old, as well as toys, books, and infant and baby gear. Habitat for Humanity’s Bracebridge ReStore gratefully accept furniture and other home-related items. Dropboxes for non-expired, non-perishable items are located at Gagnon’s Your Independent Grocer, Food Basics, the Bracebridge Sportsplex, Bracebridge Town Office at 1000 Taylor Court, and many of the local churches. We can distribute perishable food items such as in-season fruits, vegetables, or meat under certain circumstances. Please contact us at info@mannafoodbank.ca or leave a voicemail at 705-646-0114 to make arrangements. Thank you! We will gratefully accept and distribute a wide variety of items, but here is what is in high demand on an ongoing basis. Please ensure the items are un-opened and have not passed their “Expiry” date. (However, food is safe to consume up to a year past its “Best Before” date – which, [confusingly,] is not the same thing as the expiry date.) Contact the food bank if you require clarification. 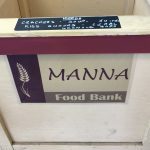 The Manna Food Bank gratefully accepts donations on our website through CanadaHelps, a secure website for making online donations to Canadian charities, and through PayPal. 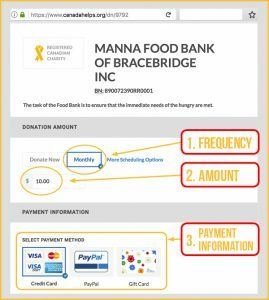 Here’s a look at the Canada Helps Manna donation page, with Frequency, Amount and Payment Information highlit. Click image to visit this page on their website. Monthly donations are a convenient way to contribute on an ongoing basis, and it helps us stabilize our cashflow and make it more predictable throughout the year. When you donate through CanadaHelps or PayPal, you can contribute one time, or you can set your account to automatically contribute to Manna monthly. You can donate as little as $5/month, and you can cancel at any time. Manna is a registered charity and financial donations are tax-deductable. Do not hesitate to contact us if you have questions. Click the icons below to get started. You can also send cheques addressed to Manna Food Bank to Box 462, Bracebridge, ON, P1L 1T8. You can drop your cheque off at the food bank, located at 345 Ecclestone Drive, Premium Self-Storage, Unit 45 (the old Dura Building), in Bracebridge. Manna is open Tuesdays and Fridays, 1 to 4 p.m. Spare some change? Coinboxes are located at many Bracebridge businesses. Please give generously. Charitable receipts are available for monetary donations. (Coin boxes excepted). As always, thank you so much for supporting Manna. We could not do it without you!